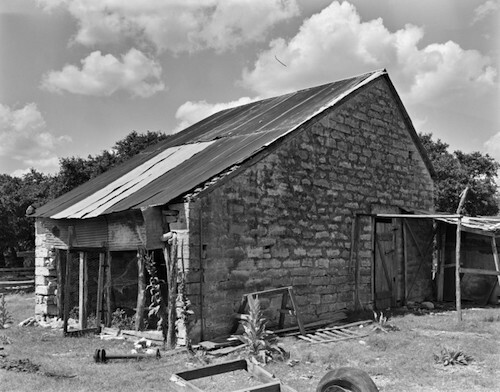 Historic barns of various forms, sizes and materials built for a range of uses can be found throughout much of Texas, and of those that survive many are in serious disrepair and slowly collapsing. Barns represent our agricultural heritage and reflect 19th and 20th century ethnic and regional building practices. Across rural Texas, the construction of a barn incorporated the innovation, creativity and entrepreneurial spirit of Texas farmers and ranchers. The loss of historic barns dramatically alters the cultural landscape of rural Texas and erases the evidence of our diverse agricultural traditions. The rehabilitation of a National Register-listed historic barn used for agricultural or other income-producing purposes can be eligible for federal historic preservation tax credits. Similarly, as income-producing property, barns listed on the National Register or designated as Recorded Texas Historic Landmarks may be eligible for the state historic preservation tax credit. These financial incentives support an economically-feasible alternative to simply allowing old barns to collapse and be replaced by factory-made metal buildings lacking in character or historic association. Preserve the historic setting of the barn as much as possible. Modern farming practices do not require the great number of outbuildings, lots, fences, hedges, walls and other elements typical of historic farms. Yet such features, together with fields, woods, ponds, and other aspects of the farm setting can be important to the character of historic barns. The functional relationship between the barn and silo is particularly significant and should also be maintained. Repair and repaint historic siding rather than cover barns with artificial siding. Siding applied over the entire surface of a building can give it an entirely different appearance, obscure craft details, and mask ongoing deterioration of historic materials underneath. The resurfacing of historic farm buildings with any new material that does not duplicate the historic material is never a recommended treatment. Repair rather than replace historic windows whenever possible, and avoid “blocking them down” or covering them up. Avoid the insertion of numerous new window openings. They can give a building a domestic appearance, radically altering a barn’s character. However, if additional light is needed, add new windows carefully, respecting the size and scale of existing window openings. Avoid changing the size of door openings whenever possible. Increasing the height of door openings to accommodate new farm machinery can dramatically alter the historic character of a barn. If larger doors are needed, minimize the visual change. Use new track-hung doors rather than oversized rolled steel doors, which give an industrial appearance incompatible with most historic barns. If the barn has wood siding, the new doors should match it. If historic doors are no longer needed, fix them shut instead of removing them and filling in the openings. Consider a new exterior addition only if it is essential to the continued use of a historic barn. A new addition can damage or destroy historic features and materials and alter the overall form of the historic building. If an addition is required, it should be built in a way that minimizes damage to external walls and internal plan. It should also be compatible with the historic barn, but sufficiently differentiated from it so that the new work is not confused with what is genuinely part of the past. Retain interior spaces and features as much as possible. The internal volume of a barn is often a major character-defining feature, and the insertion of new floors, partitions, and structures within the barn can drastically impair the overall character of the space. Similarly, interior features should also be retained to the extent possible. Retain as much of the historic internal structural system as possible. Even in cases where it is impractical to keep all of the exposed structural system, it may be possible to keep sufficiently extensive portions of it to convey a strong sense of the interior character. Wholesale replacement of the historic structural system with a different system should be avoided. Organizations like the National Barn Alliance provide encouragement and educational programs to support barn preservation. The National Trust for Historic Preservation’s former Barn Again! program, established in 1987, was the impetus for the creation of many statewide programs. Special statewide interest groups dedicated to barns have formed in different parts of the country (Michigan Barn Preservation Network; Iowa Barn Foundation). 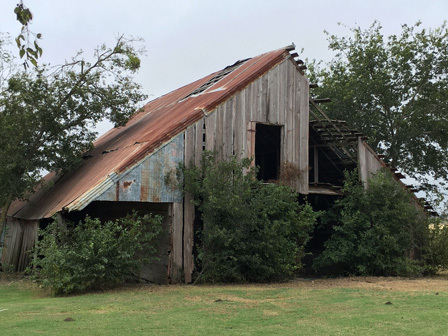 Through this endangered listing, Preservation Texas hopes to awaken similar statewide interest in documenting the history of barns and encouraging their rehabilitation in Texas. The development of a comprehensive survey of barns in Texas, with the support of state and local agencies, will provide a basis for determining the significance of individual barns and establish regional contexts shaped by ethnicity, agricultural uses and available materials. Such a survey has been conducted in Oklahoma, with the support of OSU, the Oklahoma SHPO and the Oklahoma Historical Society. Most barn books and publications leave Texas out, in part because there has not yet been a comprehensive examination of barn-building traditions in the state. Additional local economic incentives, including exemption of increased property tax assessments resulting from barn improvements (Iowa) or reduction in structure’s assessed value (New Hampshire) should be considered. Barn assessments (Vermont) provide guidance for property owners, while matching grants for painting barns (Iowa) or minor foundation or roof repairs (Virginia tobacco barns). Self-guided barn tours (southeast Idaho) can be a stimulus for rural tourism, as well as statewide barn tours (Iowa). 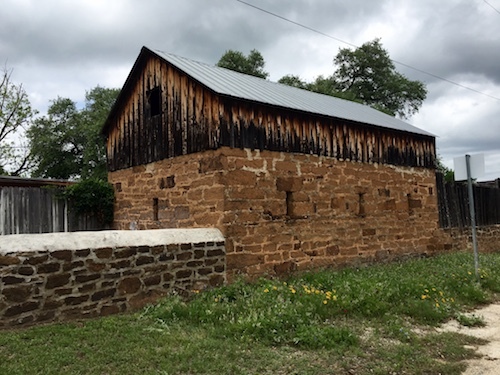 A statewide focus on the documentation, designation and rehabilitation of historic barns in Texas will protect the rural character of the state. 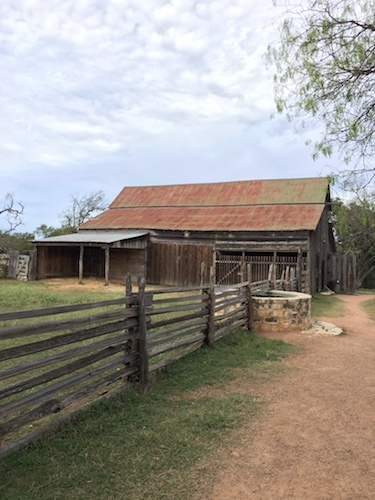 Incentives for barn owners can be put to work, improving the condition of these fading resources and sustaining rural tourism initiatives along Texas backroads. A domestic barn in Mason (Mason County) is an example of barns that can be found in a town setting. National register nominations and resource surveys have identified eligible barns, including historic resource surveys in Comal County and Hays County; the National Register-listed Westphalia Rural Historic District in Falls County; the Agricultural Theme Study for Central Texas conducted for the Texas Department of Transportation. 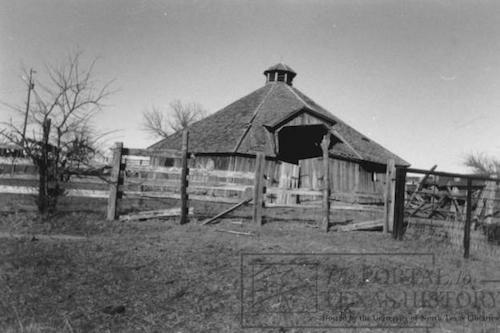 A handful of barns individually listed on the National Register or as Recorded Texas Historic Landmarks can be found through the Texas Historic Sites Atlas, such as the Dairy Barn at Texas Tech University. Barn at the Sauer-Beckmann Living History Farm adjacent to the LBJ Ranch near Stonewall.